Carnaval La Paz dates back to the 1880's and was originally established as a grand ball for the socially elite. The first queen was elected just after the turn of the century and the Black & White Ball at the La Perla Hotel became a part of the celebration despite the Mexican Revolution raging on the Mexican mainland in 1916. Carnaval La Paz really came into its own after interest in the event grew in the 1950's and 60's. It was during that period that Carnaval evolved into an event for all social strata of residents and tourists. With the successful draw of Carnaval in Mazatlan a trans-Sea rivalry existed for many years between that city and La Paz. My first Carnaval La Paz was in 2000, and just in the past 15 years the event has undergone some definite changes. The most memorable event of my first Carnaval was the fist fight that broke out in the parade staging area between drivers of the various beer companies being represented in the parade. Evidently, there was a disagreement about who was going to lead off the parade. The solution was quite Solomon-esque, the result was some awkward lags in the parade that left folks wondering twice if the parade was over. With three separate 'starts' on three nights, each company lead off the front segment once. Floats were smaller and less ornate, usually based on a flatbed trailer. I don't specifically recall any floats being towed by farm equipment, but it was certainly a possibility. Today many of the flat bases are recycled year to year by various civic and commercial groups that support the event. Carnaval La Paz almost went away in 2013, as the ballooning cost of the event to the city and the limited benefits to the local economy raised questions among many business people and tax payers. La Paz is now a much larger city, both population wise and physical size verses when Carnaval benefitted more of the business community as more was located in downtown. For myself, one of the great losses to time of Carnaval was the end of the Carnaval Poster. From the mid 90's to 2012 the large, often 30"x40" Carnaval poster was a suitable for framing keepsake of the years events and a time line of the evolution and sophistication of Carnaval. 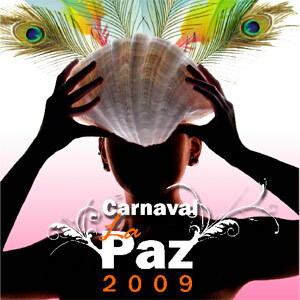 A victim of the social media age, the Carnaval poster was expensive to make and distribute and in 2013 was replaced with the Carnaval Video, that was available on YouTube and the Facebook page for Carnaval La Paz. The first year's version was greeted with mixed reviews. It was glitzy, it had pretty girls dancing to a more than a little repetitive theme music on the beach in Balandra, but apparently the clip producers lacked any footage of actual events at Carnaval. A second edition was released a little later, but the patch sorta ruined the original motif. I did a little research on the origination of the word "carnaval". The general consensus is that it evolved during the middle ages, as part of the Roman Catholic ritual of lent. It gets a little more vague after that. The most likely origins of Carnaval go back to Venice in the early middle ages. The Shrove Thursday celebration is said to have evolved through the history of the Serenissima Republic of Venice. The holiday celebrates the Veniccian victory over Ulrico, Patriarch of Aquileia. Ulrico's troops had attacked Venice while the "Serenissima" was busy fighting another war against the Ducati of Padova and Ferrara. Italy was a lively place, at that time. After his defeat, Ulrico of Aquileia, had to pay the Venetians one bull and 12 pigs, as war reimbursement. So, from that moment on, the tradition was established of "executing" every year that same amount of animals in the San Marco square, and all the population participated to the feast, banquet, dances, acrobats. I found this story stretched even a little further: Because Catholics are not supposed to eat meat during Lent, they called their festival, carnevale — which means “to put away the meat.” As time passed, Carnaval evolved. Carnaval in Italy became quite famous; and in fact the practice spread to France, Spain, and all the Catholic countries in Europe. Then as the French, Spanish, and Portuguese began to take control of the Americas and other parts of the world, they brought with them their tradition of celebrating carnaval. The tradition of celebrating spring also resonated with local pre-Columbian Indian rites of spring, so it was quickly accepted in many places in the Spanish New World. I found one Carnaval theme wood cut dating from the middle of the last millennium that transcended time. The imagery is of the wild horse taunting a reveler, the rising moon forming horns over the reveler's head, can be interpreted in different ways, or not. The image of the open purse dumping money on the ground is universal, with food, carnival rides, cerveza, tequila, novelties and just plain Carni-crap free flowing, it's easy to loose hold of the purse strings and come home broke and bloated. But it is a slice of Baja California Sur worth your participation, at least once.